Ghana Oil Company Limited (GOIL) has set out strategic oil industrial revolution roadmap to ensure that indigenous Oil Marketing Companies (OMCs) dominate the downstream oil sector in 2017. 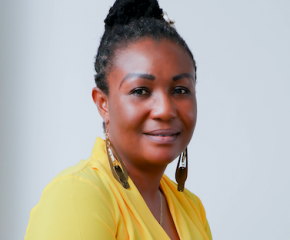 The GOIL Indigenous Industrial Revolution roadmap seeks to focus on building a 13.5 million litre Marine Gas Oil (MGO) tanks at the expanded Takoradi harbour, which will open avenues for big vessel bunkering. “We will also start the actual construction of a new bitumen depot at Tema. Pursue visible branding strategy with more vigor and continuously improve GOIL’s communication strategy by engaging the media more,” Mr Patrick Kwame Apke Akorli, GOIL Group Chief Executive Officer stated in Accra. He said GOIL will also roll-out competitive pricing strategy as part of the broader measures to ensure dominance in the downstream oil industry, “GOIL will continue to strictly enforce a national policy of maintenance of high standards at the forecourt of its filling stations across the country. 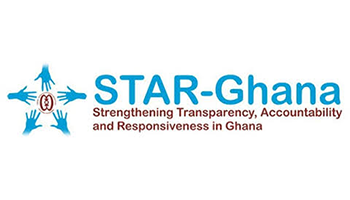 Mr Akorli, who is also known as Togbe Adza-Nye IV, Dutorfia of Ziavi in the Volta Region, said other measures included marketing of quality petroleum and other energy products and services in all its branches in an ethical, healthy, safe, and environmentally friendly and socially responsible manner. Addressing the staffs and stakeholders at GOIL end of year-awards dinner in Accra, Mr Akorli who is also the Managing Director maintained that GOIL the nation’s foremost indigenous oil marketing company will stay more competitive in 2017 while pursuing the drive for more product diversification. “In 2017 GOIL will partner other companies to fully utilize its forecourt thereby increasing other income. The future looks bright and we will continue to pursue policies and strategies that will make GOIL more profitable and a successful, proud indigenous Oil Marketing Company, to fulfil the dreams of the forerunners,” he said. Mr Akorli noted that as part of the broad mechanism, GOIL’s GOENERGY Company Limited, which is a Bulk Oil Distribution Company (BDC), in 2017, would continue to ensure availability and stability of fuel supply in the country. He said GOIL, through its BDC–GOENERGY would also continue to collaborate with other stakeholders including Bulk Oil Storage and Transportation (BOST), to ensure improvement of fuel supply in the country. He said: “We are focused on the vision to be a world-class provider of goods and services in the petroleum and other areas of the energy industry as our geographical spread places us first in terms of the distribution of petroleum products whilst our networks enables GOIL products to reach virtually all parts of the country. 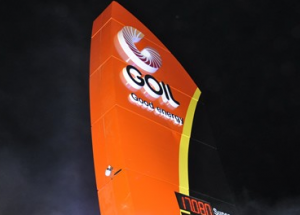 “GOIL remains one of the forerunners in the state-owned enterprises sector and the petroleum industry in general”. On the performance of GOIL in 2016, Mr Akorli said, the company continued to make strides despite a challenging environment especially as indicated in the fall in consumption in the Oil Marketing Industry by about five per cent. Despite this, “we are projecting to grow our fuel sales by 6.2 per cent this year. Lubricants and LP Gas sales are also projected to increase by approximately 14.1 per cent and 83.2 per cent respectively compared to the same period last year. Over all, GOIL is likely to meet 92.8 per cent of the target in 2016. “The exciting news is that the Company still remains the biggest OMC in the country in terms of both market share and the number of stations. “This is despite stiff competition from the over 80 others. GOIL currently has a market share of 17.5 per cent which is slightly higher than that recorded last year. This is particularly significant taking into consideration the fact that the company commanded a market share of 13.44 per cent at the end of December 2014,” he stated. Mr. Akorli said GOIL was particularly proud to have played a critical role in stabilizing the market since the implementation of price de-regulation in 2015. 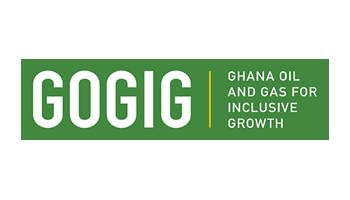 “GOIL has been rewarded by the Ghana Investment Promotions Centre’s Ghana Club 100 as the Second Best Company; the Best Listed Company on the Ghana Stock Exchange and the Largest Company for the year 2015 . “We also won the Ashanti Business Excellence Awards 2015 again, as a result of our successes, the well-recognized Chartered Institute of Marketing Ghana (CIMG) affirmed GOIL as the 2015 Petroleum Company of the Year, while I was named as the Marketing Man of the Year. “Our Bulk Oil distribution Company GO Energy, also won the BDC Company of the year at the recently organized Oil and Gas Awards. We dedicate these awards to the visionary Chairman and Board of Directors, colleague management members and the entire hardworking staff some of whom we are recognizing tonight,” he said. Mr Akorli noted that the awards will only spur staffs on to achieve even more successes in the coming year. “While pursuing this, we cannot lose sight of some of the operational challenges confronting us, key among them being the increasing cost of doing business especially the hikes in rents, licenses, permits and fees by industry regulators and landlords,” he said. Other initiatives includes achieving International Organisation for Standardisation (ISO) 9001:2008 Certification which ensured the strengthening of GOIL’s internal control structures to guard its assets; and construction of a fuel storage tank farm at Sekondi Naval Base to boost the bunkering business. Professor William A. Asomaning, GOIL Board Chairman, said GOIL embarked on expansion strategies with the setting up of aviation fuelling facility at the Kumasi Airport to ensure that; “GOIL consolidates its position in the local aviation market”. 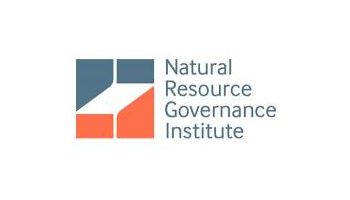 He said GOIL had also rolled-out mechanisms towards gaining more control in the supply of fuel to mining, oil exploration and production, road construction and shipping companies. Prof. Asomaning, commended the various stakeholders for their contribution towards the success story of a local company. Mr Akorli and Mr Erasmus Ofori Sarkwa, Finance Manager was awarded for over 20 years of dedicated services to GOIL. Other staffs who have worked between ten and 35 years were also awarded and decorated.